One does not need to listen to the news very long to realize there is a problem in the United States with people overdosing on controlled substances. More than 16,000 die every year of prescription drug overdose . This is more than die annually in motor vehicle accidents. In addition to overdose deaths, there is also significant other mayhem being caused by controlled substances. There is no question prescription controlled substances are a major problem in this country. How did we get here? Substance abuse has been a problem for all of human history. The thing that has changed in recent years is the amount that prescription medicines are now one of the major components of the illicit drug scene. Prescription Controlled substances include narcotic pain medicines (Lortab, Norco, OxyContin, etc. ), benzodiazepines for anxiety (Valium, Xanax, Ativan, Klonopin, etc) and ADHD meds (Ritalin, Concerta, Adderall, Vyvanse, etc.). In the 1990’s there was increasing activism that doctors were not adequately treating pain. As a result, in 2001 “pain” was officially established as the ‘5th vital sign”. Now, not only were medical personnel expected to treat pain more aggressively, but they were mandated to eliminate patient’s pain. This happened at the same time as options for treating patient’s pain, such as Darvocet and Vioxx were taken off the market. More recently the use of ibuprofen, Tylenol and codeine have been discouraged. The result was that the amount of strong narcotic pain medicine prescribed increased dramatically. For a short period of time, things were good. Patients felt like their pain was being addressed and treated. Regulators had something else to measure and with which to cite health care providers. Physicians felt more comfortable treating pain more aggressively. More potent, long acting pain medicines were subsequently developed, to meet this new need. Then the inevitable negative consequences of government mandates started occurring. Stress levels on nursing increased as they tried to meet the unrealistic regulatory requirements. The addictive nature of narcotics (that were ignored in the push to more aggressively treat pain) became increasingly evident. It started to be realized how short a time it took to become physically and emotionally addicted to these substances. It was realized that it took an ever increasing amount of medication to provide the same amount of pain relief. As the number of patients using narcotic pain medicine increased, prescription medicines started being diverted into the illicit drug use culture. Even legitimate pain patients began engaging in manipulative behavior in order to obtain adequate pain relief. Unfortunately, the number of overdoses also began increasing. When deaths from prescription medications increased, regulators, politicians and organized medicine decided it was their job to fix this problem. They never admitted, they were the cause of the problem. Instead, they blamed the doctors prescribing the medicines. They never acknowledged that all of these deaths occurred not when the medications were used as prescribed, but rather when they were misused by the individuals using the medicine. They argued doctors were prescribing without adequate education on the use of controlled substances. They blamed greedy pharmaceutical companies for developing medications to meet the need the regulators had created. When patients misused pain medicines or took them in inappropriate settings or diverted them, the doctor was blamed, rather than the patient taking the wrong action. It was decided the way to fix this problem was to require more documentation and regulation. The various agencies issued “guidelines” that significantly restricted the prescribing of pain medicine. The enforcement arms of government started raiding doctors offices and auditing charts. Many physicians, especially solo physicians, were removed from practice. Various regulations have made the actual prescribing of all medicine, especially pain medicine, more difficult and inconvenient. Physicians are now required to do yearly education on the treatment of pain. While learning what is currently known about pain mechanisms and the treatment of pain is helpful, so much of this education is totally disconnected from real everyday practice. It pretends there is a way to distinguish between legitimate and illegitimate seekers of pain medicine. It continues the fallacy that the pain medicine problem was caused by physicians and they can control patient’s behavior. It still promotes the fantasy that it is possible to objectively quantify the totally subjective symptom of pain. It tells us acute pain only lasts 4-5 days and after this patients no longer need narcotic pain medicine. It tells us chronic pain should be managed with counseling and physical therapy, instead of narcotics. Then it gives no answers to what we are supposed to do when these modalities do not work or, as in many cases, are not available. . These pain education courses never tell us practicing physicians what we are supposed to do with the patient we are sitting with, who is crying and begging for relief from their pain. What are we to do when we are cursed and threatened because we refuse to treat a patient’s pain. These courses never acknowledge that every single human being wants relief when they are in pain and that relief of suffering used to be a primary role for physicians. The results of these efforts to fix this problem from the top down have not been positive. What has not happened is a reduction in overdose deaths. Heroin use has gone up as prescription medications have become less available. The use of Suboxone is being promoted, which is an insanity. Suboxone is just an expensive form of the travesty of methadone clinics. People in chronic pain are becoming increasingly desperate and deliberate suicides are increasing among them. Even people with acute pain needs are no longer being given adequate pain relief. We have gone from a state where the treatment of pain may not have been perfect, but for most it was adequate, to a state where pain medicines were way over prescribed. Now those same entities that promoted the overprescribing, have swung the pendulum totally the other way. I tell patients that the government has declared there is no such thing as chronic pain. While this is technically not true, in practical terms it is the truth. Physicians have become afraid to prescribe pain medicine. Those with chronic pain can find no doctor, not even pain management physicians to treat their pain with medication. Even for surgery or significant injuries, frequently patients are given inadequate amounts of pain medication, thus increasing the burden of suffering on everyone. Politicians and regulators have all looked at the overdose problem and concluded that it is the doctors fault we have this problem and it is now the politicians and regulators job to fix this problem. I contend that politicians and regulators are the ones who created this problem and in the usual fashion of public policy, their response will not fix the problem of drug addiction and overdose, but it will have many casualties in the attempt. Those casualties will include every one of us. The consequences of central planning are now happening in health care. Medical facilities are coalescing into ever larger organizations. Rather than lowering costs, as was promised, it is raising the price of healthcare. Healthcare is being depersonalized. Large healthcare mega companies are eliminating options for students, patients and those employed in the health care field. Medical care is being dictated by one size fits all protocols, rather than the best judgment of the patient and their physician. The last couple decades emphasis on patient rights and patient centered ethics is being thrown out the window in favor of a single model of health care for the entire population. This is starkly illustrated by what is currently going on in hospitals with regards to vaccines. The central planners at the CDC have decided that a woman should get a TdaP (Tetanus, Diphtheria, acellular Pertussis) shot every pregnancy. This is the result of an acknowledgment that the pertussis component of the TdaP is not as effective as we wish. It has been decided that the solution to this is to give the TdaP more often. Thus, pregnant women can potentially get multiple TdaPs in a very short period of time. There have been no studies to show this strategy is effective and causes no harm, but it has been declared as the correct thing to do by those with no responsibility. Next enters the money. The real objective for “paying for quality” is not increasing quality, but rather for the payers to pay less for the healthcare delivered to the patients. In the effort to spend less on healthcare we are moving to pay for “quality” instead of the amount of work done. One of the items that has been determined to be a part of quality is immunization rates. The rate of giving new moms a TdaP is being measured. If the required percentage of women are not given a TdaP, then the reimbursement to the hospital is reduced (the goal of the payers). The hospital cannot tolerate a reduction in cash flow, so now they are threatening the nurses, if immunization rates are not adequate. The nurses are being told their salaries will be reduced if immunization rates do not meet the benchmark. They are made to feel guilty, saying it is their fault their coworkers are paid less because they are not pushing moms to get their TdaP. It has gotten so bad that moms are no longer being offered a TdaP, but rather the injection is brought in and the mom is told this is a medicine your doctor has ordered for you to get (a falsehood, as it is an automatic order, created by the hospital hierarchy). They do not even tell them what the injection contains, unless asked. This is one of the reasons the vast majority of pediatric practices refuse to provide medical care to children who are not following the CDC vaccine schedule. Their vaccination rates are being audited and their reimbursements reduced if they have too low a vaccine rate. All patients (and that is all of us) are being pushed to comply with the definition of quality as determined by “expert” organizations. Those organizations are unaccountable to the patient or even the doctor. They are not only fallible human organizations, but are also influenced by other factors than just what is the best medical care for the population, much less individuals. Defining quality is very difficult. We have this concept that every issue in medicine has a single correct solution. In reality, we are all different biologically and psychologically. Therefore what a study indicates is the best solution for a majority of people, does not tell you what the result will be when applied to any given individual. We need to be able to customize. We have to remember that science changes constantly. (Be skeptical of any politician or other leader who defines right and wrong by what “scientists say”). What is defined as the best medical treatment today, may well change in a few years. However, if “quality” protocols lock us into a given treatment, we will be extremely slow to improve our care. “Quality” today is defined by things that can be easily counted. It totally ignores softer, but even more important factors such as accuracy of diagnosis; your doctor listening to you; ease of access to your doctor; what it costs you to get the care you need; your concerns being taken seriously. “Quality” is currently defined by process, rather than outcome. In fact, in today’s world, one can have a good outcome, happy patients, lower cost care provided, but if the doctor did not follow the externally defined protocol he/she can be in big trouble. On the other hand, one can have a misdiagnosis, large sums of money spent, unhappy patients, poor outcome and even death; as long as the protocol has been followed, the medical hierarchy says quality health care has been delivered. We all want to receive high quality health care, but “quality” is not as easily defined as it sounds. “Quality” can also be misused to manipulate, stifle innovation and hurt individuals. We need to be careful about jumping on the “quality” bandwagon. Many have asked why I am retiring from obstetrics. Here is an attempt to explain. First a description of the style of obstetrics I practiced. My style of obstetrics was low intervention, mother centric like the out of hospital midwives. This is in contrast to most obtetrical practices that are high intervention, medical system and practitioner centric. The benefit over the out of hospital midwives was having the options that are available in a hospital Since there was only one doctor, it was very personal. As a family doctor I could offer a wide range of services outside of just obstetrical care, including caring for the baby and whole family after the birth. I delivered at a hospital that accomodated my style very well. 1. I am tired. Obstetrics is an all consuming practice, especially as a solo doctor. When you are caring for pregnant women, there is never a time you do not have one ear on alert, waiting for a call. Days off are never truly off, as most of them you have to go to the hospital to round and frequently, if someone is in labor, you spend the day. Being awake at night and then seeing patients in the office the next day is physically tiring. In addition to the workload, the constant concern that something can go wrong in a field as high risk as obstetrics is emotionally tiring. 2. I owe it to my wife to retire from obstetrics. We have been married for 31 years. For those 31 years my life has been consumed by medicine. I was in medical school when we were married, then residency, then solo practice with obstetrics. Frequently I cannot do things with her because of the demands of my medical practice. The hardest part of obstetrics practice is the unpredictability of it. She could not plan anything with the assurity that I would be there. We have never taken a vacation for longer than a week and for the last several years, our “vacations” have been less than a week. It is time for us to do more things together and for her to be able to plan things with the confidence that she can count on me. 3. It is time for me to do some other things in my life. I am very thankful for the opportunity I have had to be a physician and in particular the wonderful experience of assisting new babies to be born. Being in solo practice, while doing that, allowed me to provide a level of personal service to my patients that is not available in any other setting. The consequence to me personally is that I am pretty limited on what I can do away from my practice. At some point in my life I would like to travel both inside and outside our country. I would like to do some medical mission work. I would like to do some classroom teaching. I cannot do these things while waiting for babies to be born. Now is the time to get started on those things. 4. I have no confidence in my longevity as a practitioner. I am 55 years old. I have had cancer and have risk factors for heart disease. I am very thankful that I have never experienced a health event that kept me from practicing for more than a few days, but how long until I experience a prolonged or incapacitating health event that would abruptly make me unable to deliver care and thereby leaving my pregnant patients in a difficult position? The world of American medicine is in turmoil. Doctors everywhere are under incredible pressure. Every interaction with a patient is a potential law suit. Trying to keep up with the burgeoning regulations is impossible. The government is now routinely auditing doctors, trying to find errors and the breaking of regulations. After the audit, they have the power to impose penalties or restrictions on your practice for unknowingly not following one of these ever changing and growing regulations. A recent survey said forty percent of physicians want to retire from medicine in the next five years. When one agrees to care for a woman during her pregnancy you have made a seven to eight month commitment. Between possible health events and the potential that I will reach my limit on tolerating the insanity of American medicine and the risk that the government will decide I do not toe the establishment line, therefore need to be sanctioned, I no longer believe I can make a seven to eight month commitment. I currently have no plans to retire from practicing medicine all together, but when that day comes, I do not want to leave pregnant women in limbo. Who knows what the future holds. I already miss being part of this event in people’s lives. My wife and I definitely need some R&R and our first stop is two weeks in Alaska. After that, we will see. In the meantime, I pray another young family physician picks up where I left off. Recently there has been an increase in the number of crying mothers calling our office looking to transfer their children to our practice because of the unpleasant way they were treated by the doctors where they were taking their children for well child care. I am hearing reports of doctors telling parents their children will die if they do not get immunized and also claims that vaccines will protect their children from routine respiratory illness. There was an editorial published in the Spring 2014 edition of South Carolina Family Physician In this editorial, Dr. H. Griffin Cupstid, a family physician from Spartanburg, insulted the intelligence of those who questioned the benefit/safety value of vaccines, advocated for an increase in the police state and called for war against the dangerous parents who were not immunizing their children. Based on the increasingly hysterical attitudes and actions of the majority crowd towards the non vaccinating families, it seems there must be some kind of terrible thing occuring, that requires extreme measures to stop it. Is this what is happening? Let’s look at some statistics. During the preschool years, children are routinely vaccinated against twelve different illnesses. Out of these twelve, over the last few years there has been an increase in the incidence of measles and pertussis (whooping cough) and that is what is being used to justify the increasingly strident position of the majority of the medical community. Here are the details. First of all measles. After a recent record high in 2011, measles cases were down to just 54 in 2012, but were up again to at least 189 cases in 2013. There will be well over 200 cases in 2014. Of these, there have been several cases of encephalitis (a brain damaging complication), but no cases of death. In the case of pertussis, after a low of 1,000 reported cases in 1976, it has steadily risen to 48,000 reported cases in 2012 and the real number was certainly much higher. Pertussis is certainly a frightening illness and I would immunize my children against it, but at this point, it is not killing people in significant numbers. There was a death of a six month old from pertussis in February 2014 and that was the first case of a death since 2010. Even one unnecessary death is tragic, but let’s have some perspective. In comparison to these numbers are some other statistics. Every year, in the United States, there are over 1,000 children who die from drowning and almost 7,000 who die in motor vehicle accidents. On top of these are the many more who are seriously injured. If we look at all ages, each year there are over 10 million motor vehicle accidents and over 30,000 fatalities or 11 deaths per 100,000 population. The incidence of measles and pertussis has gone up for multiple reasons. Factors contributing to this increase in disease include: worldwide fluctuation in the incidence of the disease, diminished efficacy of the vaccines being given, changes in the biology of the diseases and yes lowered rates of vaccination. Nevertheless, even if the increase in disease incidence were 100% a result of “ignorant” parents refusing to vaccinate their children, the numbers are still microscopic in comparison to drowning and car accidents. If we are so concerned about the well being of children, why are there no calls for the outlawing of swimming pools and motor vehicles? Far more children are injured and killed by abusive parents than children who get sick and die, because they have parents who do not immunize. Where is the medical community outrage over the courts returning children to seriously abusive parents? While the decline in vaccine rates is a legitimate concern, it seems disingenuous to attack these parents and advocate the loss of freedom over an action whose consequences barely register in comparison to so many other risks. How is it ethical, when pediatricians refuse to care for children who are not immunized? Are you trying to tell me the doctors are refusing care out of concern for the well being of the child, by saying it is better that the child receive no care? The parents who are refusing to vaccinate their children are not refusing out of neglect or ignorance. They are refusing out of fear for their children’s safety. You do not counteract that fear by bullying them, casting aspersions on them or threatening them. Giving them vague asssurances that vaccines have no risks is illogical, because everything we do has risks, so it does not help. Citing the CDC is not helpful, because the CDC is part of a government that lies to its citizens routinely and has a vested interest in maintaining immunization rates. Claiming current scientific theory is unchangeable truth is not going to work, because everyone knows scientific teaching changes constantly. What will win the day is respectfully listening to their concerns. Calmly giving your viewpoint, when they want it. Avoid exaggerated claims of risks and benefits on both sides of the equation. Allow them to immunize, when they feel safe, as a majority will eventually at least partially immunize. Most importantly, accept the fact that we do not all have to think and act the same. That is what used to be called America. Greek literature contains the account of Damocles and Dionysius. Damocles was a courtier who coveted the luxury, influence and power of King Dionysius. Damocles begged Dionysius to allow him to experience what it was like to be the King. Dionysius consented and traded places with Damocles. Damocles gleefully stepped up and sat down in the throne. He began enjoying all of the privileges of being king. As Damocles gazes around at his luxurious surroundings, he looked up and suddenly his mouth went dry and all of the pleasure he had been enjoying drained away. The source of his sudden change of mood was that he saw directly over his head, a large sword was hanging suspended by a single hair. There are lots of people who are envious of doctors. Doctors are perceived to have lots of money, status and power. There is no argument that doctors are paid more than the average individual. In most communities, doctors are given respect solely on the basis of their profession. People entrust their lives and thoughts to doctors in ways they would never trust anyone else. There is no question that physicians are privileged to be able to earn their living in a field that is intellectually stimulating, pays well and allows one to be a tremendous help to lots of people. At the same time, there is a huge Sword of Damocles hanging over physicians. The job of being a doctor has always been stressful. Knowing that the evaluations and decisions you make regarding a patient can have a tremendous impact on that individual is a very heavy burden. That burden has not gone away, but now is added the burden of fear of being sued or running afoul of the endless regulations. Imagine what it is like to be a physician knowing that every single interaction with a patient has the potential to result in a law suit or cause you to violate some regulation. No matter how conscientious you are, you will be sued at some point during your career. You are going to be audited and have to defend your actions before some regulatory body. Even if a physician does not experience the major events of being sued or running into regulatory difficulty; just the daily practice of medicine is a struggle. There is the unending paperwork, the constantly changing and ever more complex rules. There are patients, who are understandably frustrated with how difficult it is becoming for them to obtain medical care, and they frequently take that frustration out on the doctor or their staff. You cannot put a human being under the relentless pressure that physicians in the United States are under today and not have serious adverse consequences. Some of the results patients see are cold and irritable physicians. Practices become very rigid, unwilling to help patients outside of strict and costly guidelines. The physicians themselves have much turmoil in their personal life as a result of the stress of practicing medicine. Male physicians have twice the suicide rate of the general population and female physicians have a rate up to seven times the general population. The result that has the greatest impact on patients is the early retirement of physicians. For most physicians, being a doctor is part of what makes them tick. As a result, in years gone by most physicians practiced until they could physically no longer do it. That is no longer the case. Now most physicians are retiring from clinical practice as soon as they can afford to do so. The result is a major loss of the most experienced clinicians, who are at the peak of their profession. Today 50% of physicians are over the age of 50. Imagine the impact on skilled physician availability to patients as these physicians retire at a very high rate, because they are no longer willing to endure the stresses being imposed by an ever more oppressive health care system. Unfortunately, these pressures on physicians are going to continue to mount and that will have a negative impact on the patients for whom they care. I am frequently asked about my opinion regarding Obamacare. There has been lots and lots of excellent pieces written on the subject by others, but here are some of my thoughts. This thing was never going to work. They took the worst aspects of insurance medicine and the worst aspects of government paid/controlled medicine, lumped them together and called it a wonderful plan. Only in government does that make sense. The government cannot do anything efficiently. It is true that the military kills people and breaks things with excellence (not skills most people look for in their doctor), but anyone who has been in the military knows the military does not do things efficiently, nor economically. Whether it be the post office, IRS, immigration services, TSA, DMV or myriads of other government agencies, none of them do things with the level of excellence expected of our private health care system and all are incredibly wasteful of money. We already have a government run health care system in the Veteran’s Administration. Not a single person will argue that the VA provides services on par with the private health care system. It is beyond my comprehension, how anyone thought the government, through the “Affordable Care Act” could create a well functioning health care system, much less make health care cheaper. Hospitals, professional medical organizaitons and insurance companies supported this thing because they could not resist the promise of more money and increased control over the delivery of health care. Some well-meaning people accepted the false rhetoric of the selling points. For the few entities that might have resisted getting on board with the government, there was fear that the government would come after them and cause them great harm. Even though it is becoming increasingly clear this thing was a mistake, you will notice no medical or insurance organization is speaking up. I suspect that is because they believe that for all of its problems it is going to be maintained in one way or the other and they are afraid of the repercussions from the government if they should speak out against it. While it was clear that Obamacare could not work, I was absolutely astounded that the government is so incompetent as to not even be able to get a simple web site correct. Obviously, these are not actually simple websites, but there are scores of similar commerce websites and in comparison to the complexity of taking care of patients and running an entire health care system, they are child’s play. If they are having this much difficulty with a web site, what kind of problems are going to arise as the real thing starts? It also needs to be pointed out that the claimed reason we had to have the Affordable Care Act is because it was unacceptable that there should be uninsured people in the United States. The irony is that as a result of the regulations in the Affordable Care Act, we will have more uninsured after the act is implemented, than we had before it was passed. Only arrogant politicians could rationalize how making health insurance more expensive and then mandating that it be bought is going to make people and employers who already could not afford to buy health insurance now able to buy it. Of course, they are increasing those covered by Medicaid and throwing a lot of subsidies out as the answer to this question. The problem is that the subsidies and increased Medicaid will not come close to making up for the increased expense of insurance and the loss of employer provided insurance. The biggest problem with this approach is that an already bankrupt government is going to take more in taxes and print more monopoly money to cover those increased expenses. Sooner or later that will have a devastating impact on the economy as a whole. January 1st started the use of Obamacare as an insurance policy. Up until this time all of the focus has been on the dysfunctional web site. Though still a challenge, it seems over a million people nationwide have been able to sign up for a policy. Now what happens? The government equates having health insurance with receiving health care. Therefore, they assumed that if people get health insurance they will have health care. This assumption is very problematic. Just as their web site was non-functional, so is the very complicated means of administering these health plans. People have plugged in all of their information and been told they have insurance, but then nothing further happened. This means when they go to obtain health care they are in a worse position than those who have no insurance in the first place. We as a practice have been given zero information on how this system will work. Blue Cross forced us to sign up with their exchange product by telling us, if we did not sign up for an exchange our regular Blue Cross fee schedule would be penalized. Since then nothing else has happened. We have no way to check eligibility. We have no idea of the fee schedule. We have no idea of the process for billing. All of this means that people will maybe get an insurance card and then have difficulty finding providers who accept that insurance coverage. The fact that neither the government, nor health care organizations, understands is that health care is delivered by individuals to individuals. It is not delivered by the government or even hospital systems or Accountable Care Organizations. It all comes down to an interaction between two individuals. The pressures being added to those providing the health care on top of the pressures already present is going to produce an increasingly dysfunctional health care system for all because individuals on both sides of the stethoscope will be negatively impacted by these pressures. What is going to happen now? Obamacare will muddle on for awhile with the problems piling up. Those problems will be ever increasing costs to the Amrerican public in insurance premiums and taxes. The health care itself will become less available and less pleasant when obtained. There will be all kinds of difficulties and stresses for both patients and health care providers. The government will blame the problems on the insurance companies, doctors and hospitals (and George Bush). It may eventually get repealed, but so much damage will have been done to the health care system that the result will be unacceptable and there will be a big push for a single payer system. There is no question that the health care system prior to Obamacare was very problematic. Unfortunately, the Affordable Care Act, did nothing to fix those problems, but has compounded them greatly. Hold on, it is going to be a very unpleasant ride. A health practitioners primary responsibility is doing the paperwork. Taking care of the patient is secondary. One spends far more time on the paperwork than actually talking to and examining the patient. Now, with the electronic medical record mandate, this has gotten even worse. You can take perfect care of the patient, but if you do not complete the mountain of paperwork associated with that care, there will be trouble. There will be less trouble if the patient does not do well or is dissatisfied with their care, but all the paperwork is good. Most of the piles of paperwork, revolve around money. The patient completes lots of paperwork, because they want the insurance company to pay for the visit and services. The doctor has to write enough in the chart to justify the fee he/she is charging for the care they just rendered. The insurance company does not want to pay for the services, so they do audits and require unending forms and conversations to justify the treatments prescribed. Medicine is the only field where you are expected, in fact required, to offend your customer. Every other business does everything in their power to give the customer whatever will make them happy, so that they will buy more of their services or products. While healthcare entities attempt to give good customer service, the regulators and insurance companies demand that physicians assume all of the patients are liars, who are trying to get something to which they are not entitled. This is the reason for the mountains of paperwork, whenever a service is ordered. No one goes into medicine, so they can be a police officer. However, this is the position in which the American system has put physicians. It starts with school and work excuses and includes the affidavits connected to almost any service today. I am supposed to discern who is or has been legitimately sick. In the first place, that is an impossible task. Then, if I somehow conclude they were not really sick, I am expected to call my customer a liar, but hope they will keep buying my service. Then, just to add insult to injury, when the patient complains, the doctor following the insurance company rules, is portrayed as the one in the wrong. Only field where you are expected and required, to provide a service, even when you are not going to be paid for that service. If someone wheels their shopping cart out of a grocery store without paying for the items, they are arrested for shoplifting. On the other hand, many people expect doctors to provide them services and have no intention of paying for that service. The insurance companies and government have even gotten on this bandwagon. They constantly change the rules, expecting the doctors to do ever more work for the same or less money. There is also a list of diagnosis which doctors and hospitals are required to treat, but which Medicare and other insurances categorically will not pay for and the patient cannot be billed. Patients who present to the emergency department for even non-emergent complaints have to be cared for, even though a large percentage will never pay for that service. For a physician, perfection is not good enough. Everyone knows human perfection is not possible, but in medicine, not even perfection is good enough. We are expected to get every diagnosis correct. We have to choose the correct treatment every time. What becomes especially difficult is that we are also expected to correctly predict the future. We are supposed to know, in advance, who will have an adverse reaction to a medication. It is expected that we can accurately predict who will benefit from a given treatment or procedure. How long will someone be sick? Who is going to have a relapse? I have often said that when I graduated from medical school I missed the table where they were giving out the crystal balls and that has tremendously hindered my medical career. As a patient, I can certainly understand that one wants their doctor to always be correct and doctors certainly strive for perfection as well as to accurately predict the future. Nevertheless, it is extremely difficult for doctors when they are not only chastised for being incorrect, but run the risk of being sued when things do not turn out as they said they would. The process is more important than the result. There are now all kinds of rules and regulations controlling how medicine is practiced. This first creates the practical problem, that it is humanly impossible to keep track of all the rules. Secondly, the goal is no longer to find the solution that best meets the needs of the individual patient. The goal is to find the solution that follows all the rules established by the central planners. A doctor gets in bigger trouble for breaking the rules, than he/she does for providing poor quality medical care. Up until recent times, physicians were taught problem solving, innovative thinking and individualized solutions. This approach is rapidly being replaced by protocols and population based treatments and central decision making. It is argued that this approach provides the best outcomes for the most people. The problem is that human beings are not all the same. They are complex entities with very individualized needs and require individualized solutions. Today’s approach to medicine is making individualized treatment impossible. The patient is not the doctor’s customer. In the traditional sense a patient is a doctor’s customer. In reality, the patient is not the doctor’s customer. The real customer is the government agency or insurance company who is paying the bill and the government entities creating the regulations. The patients are just the widgets which are manipulated between the doctor and the payer and the government. Everyone wants “free” health care, but the moment someone else is paying the bill, the patient is no longer in control. Patients routinely get very angry at doctors because they are unable to get that which they think they are entitled, but the doctors are not the ones making the rules. They are, unfortunately, the messenger. The patient has no personal responsibility for outcomes. I certainly believe physicians have a responsibility to take care of patients to the best of their ability and to keep up with medical knowledge as it advances. It is just as important for patient’s to take responsibility for their own health as well. The majority of bad outcomes are not a result of poor quality doctors, but rather because patients have unhealthy life styles, do not take the prescribed medicine, fail to follow-up as recommended. The current emphasis on paying for quality, totally ignores the fact that patients have every bit as much responsibility for their health as do the doctors. Computers are not the fix. I love using computers and have used electronic medical records since 1998 and computers can be a very useful tool. Unfortunately, the government is now controlling how medical software operates and the result is inefficient, time consuming software. The focus of a doctor visit is no longer the patient’s concern, but rather data entry and dealing with the concerns the central planners think are important. There are also many positive aspects of practicing medicine in the United Medicine, but unfortunately with the ever increasing dominance and control of government and insurance companies, the negatives are rapidly overshadowing the positives. Anyone want to add to this list, both good and bad? It is everywhere: advertisements on television, statements by celebrities and politicians, regulations, school lunch programs, medical protocols. Obesity is now a major public enemy. I do not mean to diminish the significance of this issue. There is no question, obesity is a serious health concern. It has also increased, though not as much as advertised. (The definition of obesity was changed, which automatically dramatically increased the numbers without anyone gaining any weight.) At the same time, all of this attention acts as if obesity was an easily remedied problem, if people just understood they should not be fat. The reality is, there is not an overweight person, who wants to be fat. Every overweight person knows they would look better, feel better and be healthier if they were not obese. Every overweight individual has tried numerous times and all kinds of ways to lose weight. If it was just a matter of telling people they should not be fat or government outlawing fast food and controlling what kids eat at school, there would not be an obesity issue in the first place. Clearly, it is not a problem easily solved. The cause of obesity is multifactorial. First there is genetics. There is no question that some individuals biology pushes them towards obesity. Our bodies are somewhat of a black box. By that I mean that science does not understand all that controls how our bodies handle the weight issue. Why is it that two individuals can consume the same number of calories and do the same amount of exercise and have very different changes in their weight? This does not mean an individual who tends towards overweight, cannot have a healthy body weight. It just means they have to work much harder to achieve it. Occasionally, there are fixable medical problems causing weight gain. Though everyone hopes this to be their cause. A fixable medical cause is very uncommon. There are also clearly life style factors, be it overeating or a sedentary activity level, that can produce obesity. Once one gains excessive weight, it is anything but easy to lose. We want the “secret” diet or pill that will make the pounds melt away. Advertisers know this as every form of media is full of “answers” for the obesity problem. Some become so desperate, they resort to major surgery to fix it. Why is overcoming obesity so difficult? 1) The body’s biology is designed to prevent weight loss. God designed us to survive in difficult situations, thus as the intake of calories goes down, the body holds onto them harder. This is also why the first pounds come off relatively easy, but then it becomes harder to keep losing. 2) Losing weight requires BOTH a reduction in calories consumed AND an increase in the burning of calories. I find that most people try to lose weight by doing one or the other, but it requires both. 3) Eating is one of the wonderful pleasures of life. There is no question we have been given the capacity to enjoy our food. Certainly there is nothing wrong with enjoying food, but without a doubt, that enjoyment makes it very difficult to resist putting too much food in our mouths. 4) We have to keep eating. When individuals struggle with addiction to tobacco, alcohol or drugs; we tell them they cannot just use them a little. Smoking “just one” cigarette will quickly reignite the need for more. Eating too much is no different. Unfortunately, we have to eat, in order to survive, so we cannot completely remove food from our environment, which means the temptation to overeat is constantly in front of us. 5) Few enjoy exercising. There are a few “weirdos” who enjoy exercising. (Actually, I am jealous of those who enjoy physical exercise.) However, most people do not enjoy exercising, but it still needs to be done. 6 ) The fight is never over. It is relatively easy to get motivated to do hard things for a short period of time. In the area of weight loss, the moment one relaxes , the weight starts to come back and often very rapidly. While one cannot help but lose the intensity after a period of time, one can never consider the weight issue conquered. Though very difficult, I believe everyone is able to lose weight. We are not plants. Plants manufacture their own calories, but we do not. If we consume fewer calories than we burn, we WILL lose weight. However, it will not happen by wishing or good intentions or a burst of effort or because others harangue you. 1) Make up your mind YOU want to lose weight enough to be uncomfortable in order to accomplish it. Write out a list of the beneficial things you will accomplish by losing weight and post it where you can review it when the going gets tough. This is a long term project. 2) Have realistic goals. We all want to get down to what we weighed when we graduated from high school or college, but for most of us, that is just not realistic. One is less likely to get discouraged and quit if you have small attainable goals, then a large difficult to attain goal. Studies show that even a 10cpound weight loss can have a positive impact on your health. Set a ten pound goal and then once one reaches it, celebrate and set a new ten pound goal and keep going. 3) Reduce your portions. It is not a matter of eating special food or even calorie counting. You do have to cut back on the amount of food you eat. Do not refill your plate, even if it tastes soooo good. Avoid sugared drinks. It is astounding how many calories Americans drink. Stay away from high calorie snacks. Limit your eating out, as these meals have huge amounts of calories in them. If you need help in this area, I think Weight Watchers is the best program in which to be involved. 4) Schedule exercise. Since most do not enjoy exercising, you will always find something else you would rather do and it just will not happen. In order to be regular at exercising, you have to put exercising in your daily schedule. Exercising adds muscles, so not only are you burning calories while you exercise, but muscles burn more calories than fat, even at rest you will burn more calories. 5) Keep a constant check on your weight. When you see that number go down, it is an encouragement to keep going. When it does not, it should be a motivator to work harder. Sometimes the number not getting smaller can be discouraging, but do not let that happen. You are not looking for your weight to change on a daily basis, but a positive trend. 6) Do not give up. Often the weight does not come down as one would hope, but do not quit. If you are seriously watching what you are eating and exercising regularly, the worse that can happen is you stop gaining weight and you are stronger with more stamina. In most cases you will slowly and steadily head towards your goal. I deliver babies at Greer Memorial Hospital and take for granted the way things are done at Greer. 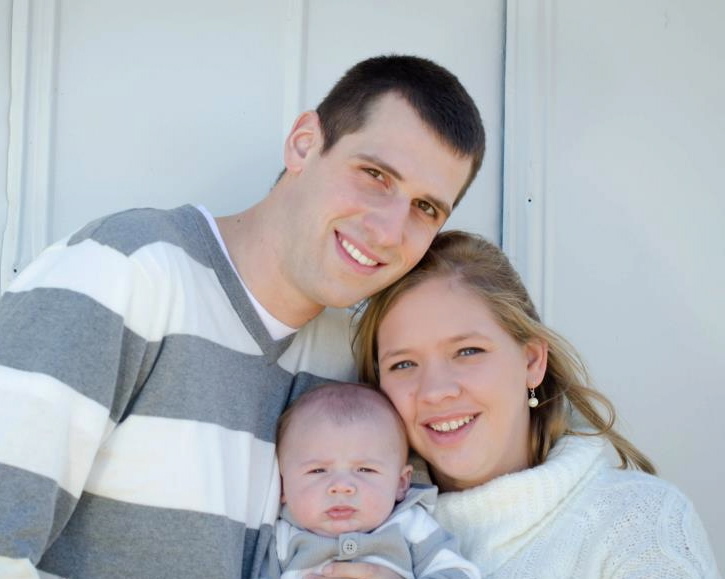 However, having recently experienced my son and daughter-in-law delivering at a different hospital, it caused me to reflect on how different and possibly unique things are at Greer. Here are some of the things that I think make Greer a wonderful place to give birth. The facility is gorgeous. It looks more like a hotel, than a hospital. 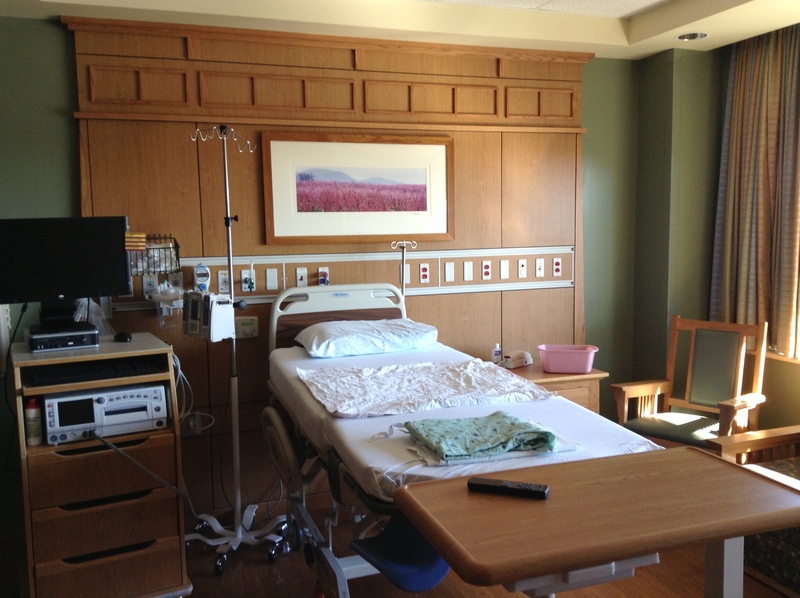 The comfortable physical facilities enhance the birth experience. The hospital is large enough to be able to deal with any emergency that may arise, but small enough to still be very personal and intimate in its feel. While the staff where my grandchild delivered was pleasant, there was not the friendship warmth that I frequently see between staff and patients at Greer. 3. There is a very large waiting area, so different families are not in each other’s space while they wait. 4. The doctors are involved in the labor, not just the delivery. During my daughter-in-law’s birthing process, the doctor, whom she had never met, only came into the room when the baby was about to emerge. He delivered the baby and left, never to be seen again. He was just doing his job, not participating in a very important and personal experience for the family. At Greer, the doctors are people the couple get to know prior to the delivery and they are frequently in the room throughout the labor process. This not only gives the doctor a better feel for how the labor is going, thus aiding the decision-making process. It is also reassuring to the couple, when the doctor is present during labor, not just the delivery. 5. The baby stays with mom following delivery. When the baby is delivered, it is placed on the mother’s chest, where it is stimulated and suctioned and dried. The only time a baby does not stay with mom is when it has to be resuscitated or is seriously ill. This is in contrast to what occurred when our grandson was born. In his case, upon delivery the baby was immediately taken to the warmer. Once the nurses did their routine, he was given to his mother for about 15 minutes. He was then taken to the nursery for the next five hours. There were multiple requests for him to be brought back, but there was always an excuse, even though we could see him crying in his bassinet. Needless to say, this was not the optimal start for this new baby and his parents. This would not have happened at Greer, because the baby does not leave the room, unless mom requests the baby be taken to the nursery. 6. The nurses support natural child birth and mother/baby bonding. Not everyone wants a medication free birth, but for those who do, having nurses that support this plan is critical to achieving it. Whatever kind of birth one wants, the Greer nurses work towards making it your personal birth experience and not just follow the protocol that works best for them. If you are looking for a hospital in which to have a baby and want a facility that is focused on you having the best experience possible, you should consider Greer Memorial.